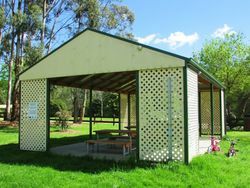 A gazebo commemorates the Delburn fires of 2009 and was erected as a place of reflection for the community after the devastating bushfires. 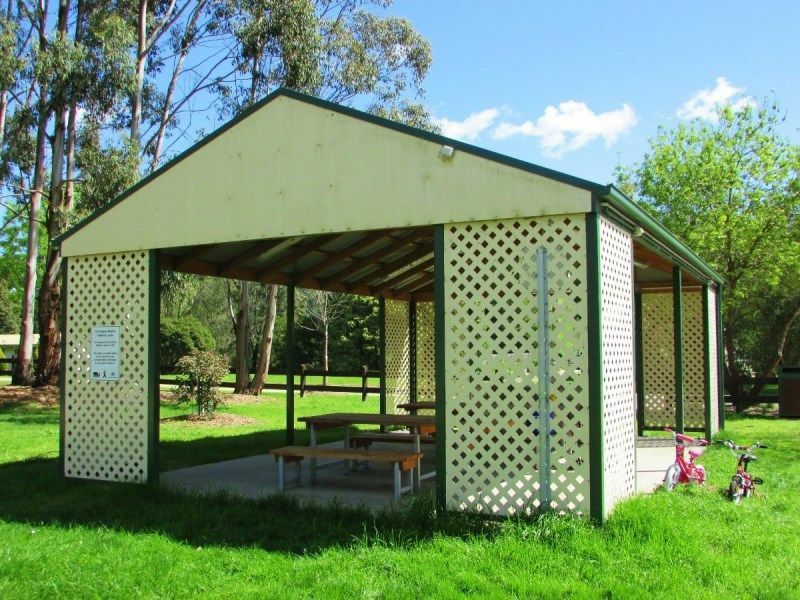 The project involved the construction of a gazebo with seating, tables, landscaping, a memorial plaque and an electric barbecue. 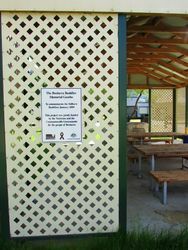 The gazebo is located at the entrance to the reconstructed Grand Ridge Rail Trail which had been destroyed in the 2009 fires. The 2008–09 Australian bushfire season was the Australian bushfire season that ran from late December 2008 to April/May 2009. Late on 29 January and into the following morning, the two fires at Delburn had joined, and were being fought by over 500 personnel; the fires had burnt 10 km² 1,000 ha (2,500 acres) in the area near Boolarra and Darlimurra, south of the city of Morwell. By 30 January, the Delburn fire had spotted east towards Yinnar and Boolarra, and south towards Mirboo North. 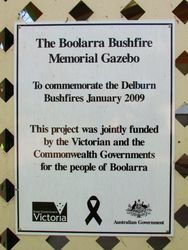 The Boolarra community was severely affected by the Delburn fire, which burned through 6,534 hectares of land and destroyed 44 houses.